Next time you’re in the nut section of the grocery store, consider picking up a bag of pumpkin seeds. While almonds and walnuts get a lot more play in the nutrition press, pumpkin seeds deserve a star turn as well. In fact, a recent Allure magazine article quoted me explaining why these little seeds should be considered a superfood. • Vitamin K. It’s another nutrient critical to keeping your heart and bones healthy. There’s about a quarter of your daily requirement for this vitamin in ¼ cup pumpkin seeds. Green leafy vegetables are the main source of K, so it’s nice to have another way to get it. • Healthy fats. Pumpkin seeds are made of mostly monounsaturated and polyunsaturated fats—another plus for your heart. 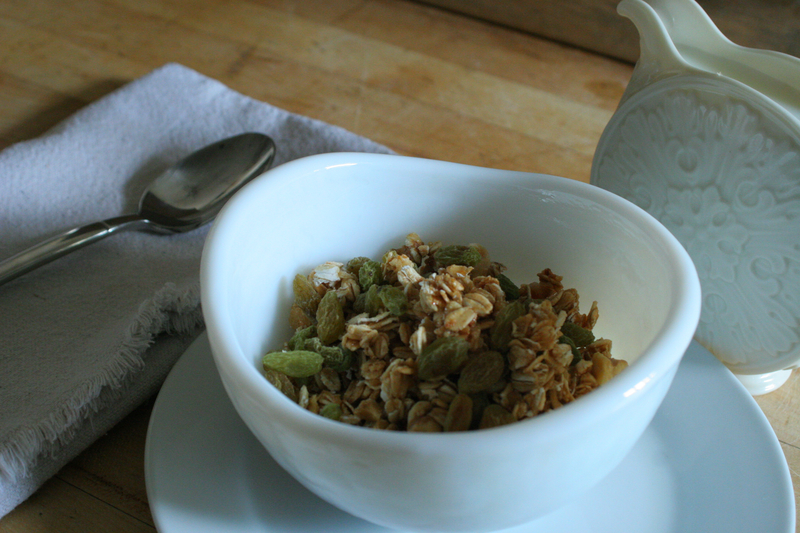 For an absolutely delicious way to incorporate pumpkin seeds in your diet, try the Granola recipe pictured above. 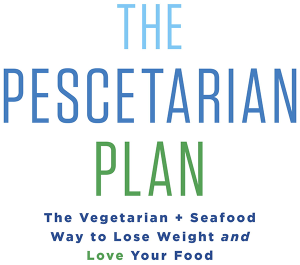 (From page 159 of The Pescetarian Plan). Sidra enjoys the crunchiness of this cereal as-is, but Janis prefers it a little softened. She douses it with milk and lets it sit for 10 minutes before eating. 2. On a sheet tray, combine the quinoa, oats, honey, pumpkin seeds, sunflower seeds, walnuts, coconut flakes and salt. Mix thoroughly. 3. Cook stirring often, until just golden brown and dry, 20 to 30 minutes. Remove from the oven and stir in the raisins. 4. This cereal keeps well for a couple of weeks in an airtight container.